Home Vitiligo What Is Vitiligo Organics? What Is It Made Of? Approximately 2 to 5 million people in the United States are affected by vitiligo, also known as leucoderma. This is a disorder that, although it may not harm the sufferer adversely, creates an impact that could affect the patient’s life. Vitiligo patients feel uncomfortable to mingle in social circles or attend social gatherings because of the effect of vitiligo on his appearance. The white patches are a source of embarrassment for the patient as people erroneously think that this condition is contagious and thus avoid the patient. This adversely affects their self-confidence and many patients ultimately become socially withdrawn as a result. In some people, these white patches are found on the face, thereby worsening the situation. There is a lot of confusion in choosing the best medication to cure vitiligo more effectively. If you do a Google search of vitiligo treatments, you will come across a lot of medications, and this may be confusing. Google will provide you with about 2 million results of medication for vitiligo. One treatment option for this disorder that has proven results and efficacy is described below. 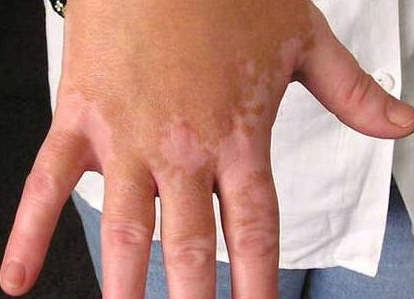 Vitiligo Organics may be one of the best medications for this disorder. It is preferred by many patients as they are 100% made from herbal products and thus are completely free from side effects. Vitiligo Organics can be used by people of all age groups, irrespective of gender and race. Vitiligo Organics are natural and has been certified by the NASAA (National Association for Sustainable Agriculture, Australia). They provide quick results and also provide natural pigment restoration, which helps eliminate the white patches from the skin and restore the skin to its original color. Vitiligo Organics are biologically tested medications and they are completely free from microorganisms. They are topical medications and thus are easy to use. All one has to do is clean the area, apply and massage onto skin, and leave the solution on for about 10 to 12 hours. Vitiligo Organics boasts of scientifically proven results. Coconut oil is one of the few oils that is considered safe and can be used on the skin without any side effects. Coconut oil is a slow-oxidizing agent and is thus resistant to rancidity. It also contains Vitamin E, and so is beneficial to skin. With coconut oil as an ingredient, Vitiligo Organics could make your skin smoother and softer. These are the seeds obtained from a plant named Nigella sativa. They are responsible for the repigmentation of the skin cells. This plant is important in Ayurvedic and Chinese medicine. Its seeds contain various coumarins, including psoralen. Psoralen is a component of PUVA (psoralen + UVA) and is known as a photo-sensitizing agent. This pigment will react with UV rays and will result in darkening of the skin. Barberry root is another important ingredient of Vitiligo Organics. Berbamine, berberine, oxyacanthine, resins and tannins, and chelidonic acid are the alkaloids that are present in barberry root. They contain antioxidants and cytoprotective properties which are responsible for the treatment of the vitiligo. Vitiligo Organics is a good alternative to vitiligo makeup which does not give permanent results. Users need not worry as it is safe and all-natural.